udaipur is a beautiful city in the Aravalli Ranges of Rajasthan India. Known for its picturesque lakes, udaipur also called 'the city of lakes'. The elevated hills and the beautiful lakes make a picture-perfect backdrop to the udaipur city. udaipur is regarded as one of the most romantic cities of the World and subsequently, also known as the 'Venice of East'. In context of Rajasthan, udaipur is the second most-sought after tourist destination of the state, the first being Jaipur. udaipur had been the capital of Mewar for centuries.udaipur is famous for its captivating lakes, but the city has many more attractions that catch the attention of the tourists with their charm. Lake Palace of udaipur has been accredited for being one of the most romantic places all across the globe. udaipur is undoubtedly a dream destination for a romantic holiday. Every year, thousands of tourists come from all over the globe to visit this romantic city. 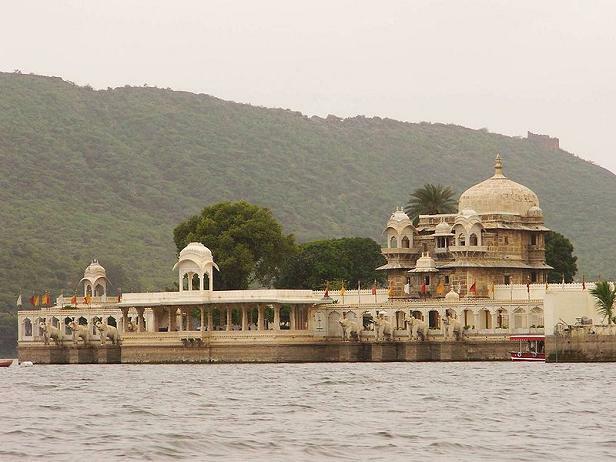 udaipur is easily accessible from all the major cities of India including Delhi, Mumbai and Jaipur. So, if you are tired of your hectic schedules and daily routine, then plan a trip to the city of lakes to lighten up your worries and tensions. A tour to the romantic city of udaipur would certainly become an unforgettable part of your memories and you will cherish these memories throughout your life. The massive forts of udaipur, grab the interest of people with their sheer structure and architecture. The beautiful temples create a sense of aestheticism with their spiritual ecstasy. udaipur also boasts of various museums, palaces, gardens, monuments and colorful festivals that allure tourists to visit the city for once. A majestic architectural marvel towering over the lake on a hill surrounded by crenellated walls.